Aquarium Wood Products started in the Tampa Bay Florida area supplying local retailers and small distributors. 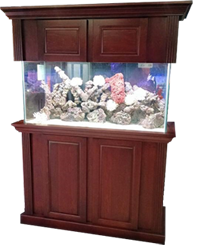 Soon Aquarium Wood Products' cabinets and aquarium products were being supplied to retail stores and distributors throughout the United States. Through the years AWP has succeeded in developing new and functional designs that make our CABINETS THE BEST IN THE MARKET. Utilizing proper cabinetry procedures, products and designs to compliment the aquarium makes us TOP IN THE INDUSTRY. Aquarium Wood Products' manufacturing plant is located in a southeast centrally located region making shipping and delivery easy and convenient. 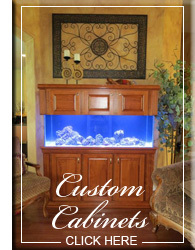 Our cabinet and aquarium accessory manufacturing plant is located in Perry, Florida. © Aquarium Wood Products. Aquarium Cabinets and More. All rights reserved.